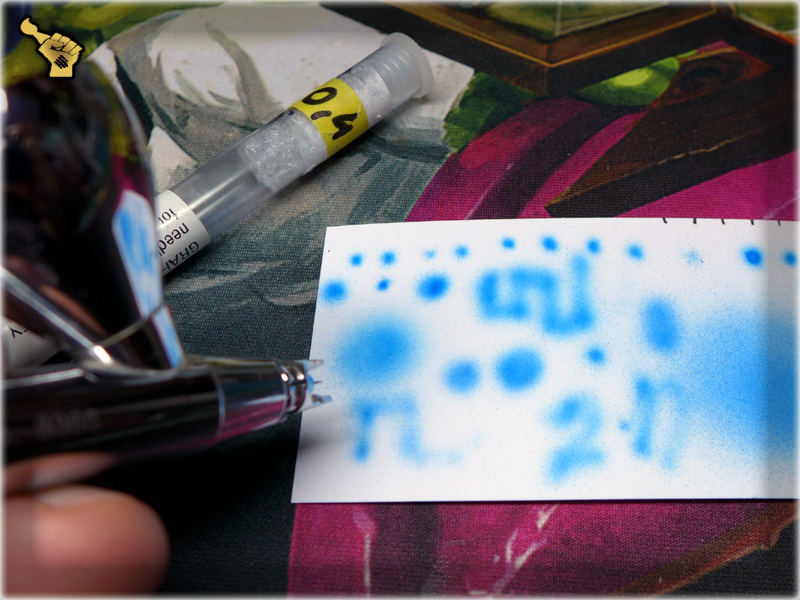 An important thing that makes me use a Harder & Steenbeck airbrush is it’s quality. I’ve been using Infinity CR plus for around a year now and am really satisfied with it’s performance. 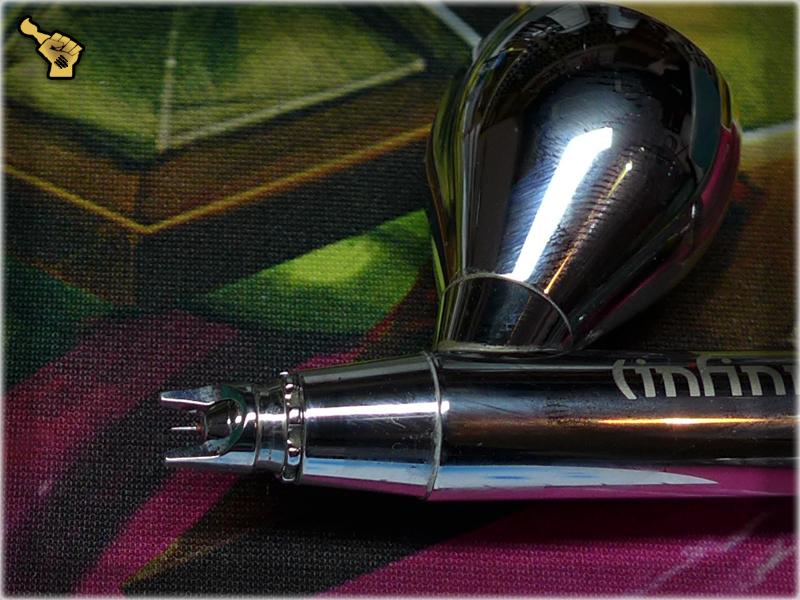 Futhermore I can say that I love this Airbrush so much as to expand it’s set of needles and nozzles whenever I have an excuse to do so. 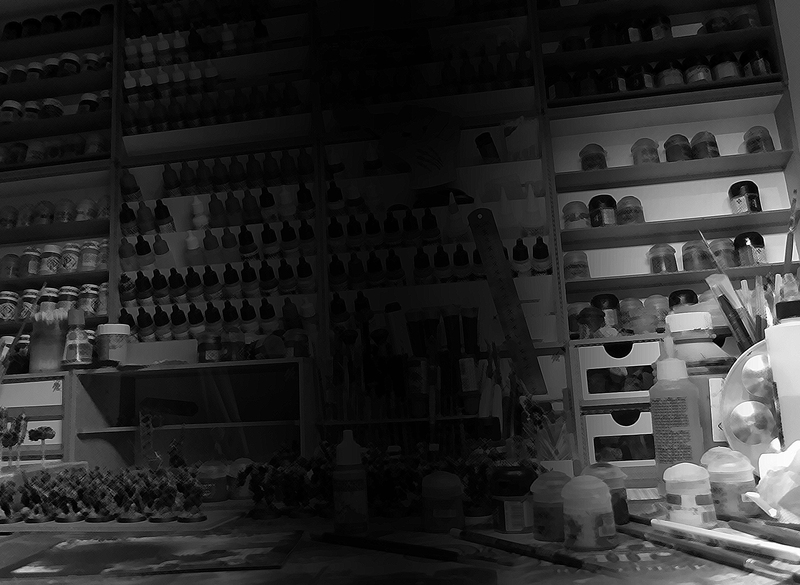 But this is a review of a 0,2 mm Nozzle upgrade set, so I won’t let my overall sympathy for H&S cloud my judgement. Uuuugh… This needle was totally out of commission. No way to even try to repair it. I was very dissapointed. Due to a basic needle protectors being rather open I’ve already damaged an unimaginable number of 0,15mm and 0,2mm needles, that’s why I tend to work with a strong 0,4mm one. 0,4 being my favorite by necessity, I’ve decided to use it in 0,2/0,4mm sets comparison. 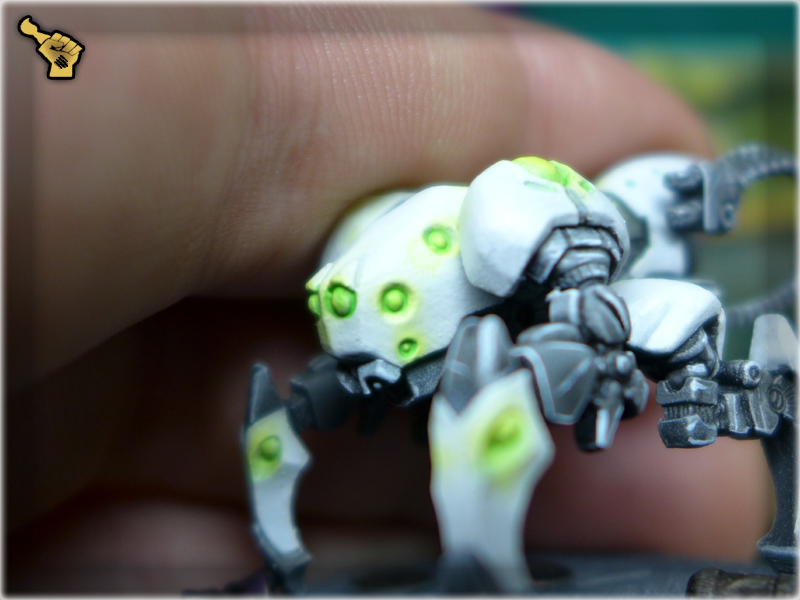 For me it’s the usual stuff with 0,4mm needle providing me with means to paint entire miniatures and some small spots as well. So I’ve changed to a smaller caliber, installing 0,2mm nozzle set. With Infinity CR Plus being user friendly, I was ready for action in merely moments. 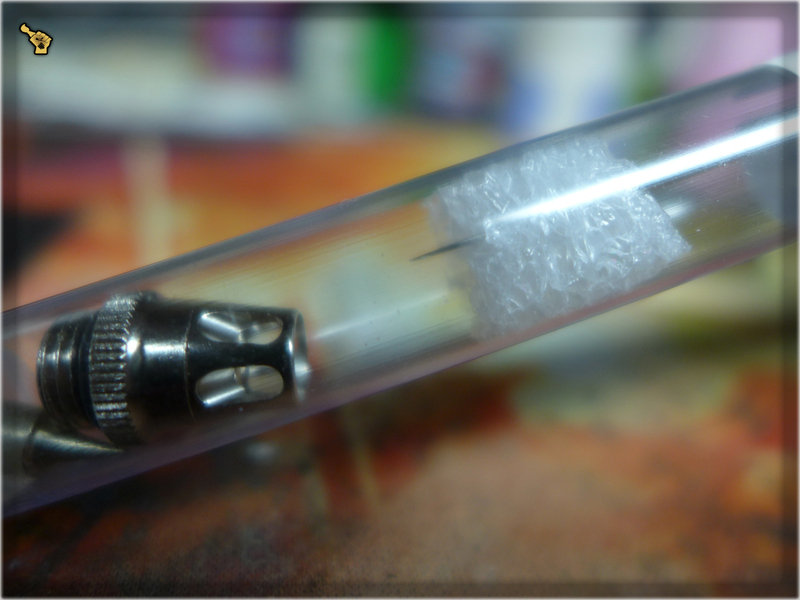 The needle was very fragile, but also well covered and set up much deeper than it’s 0,4mm counterpart. 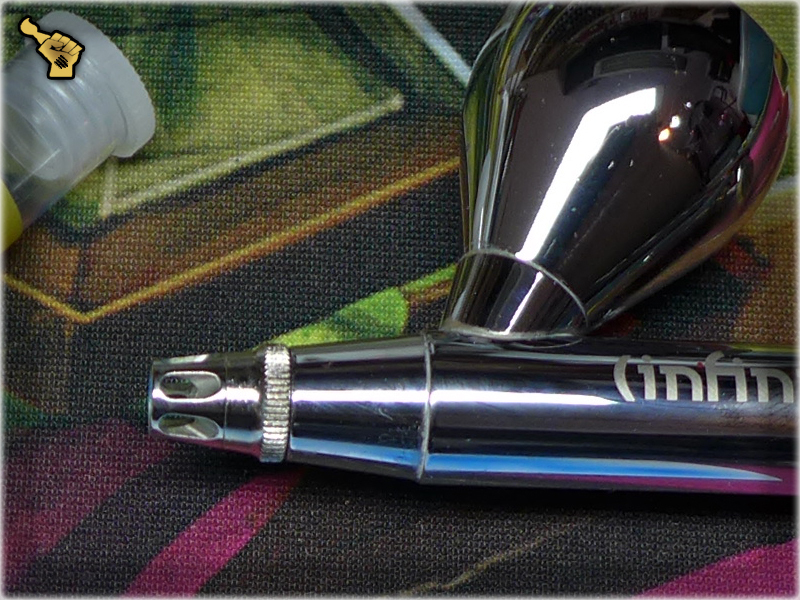 The important difference is also the fact that nozzle protector and needle protector are just one piece in this set. I couldn’t see the needle while working, but at the same time it was well protected from my clumsiness. 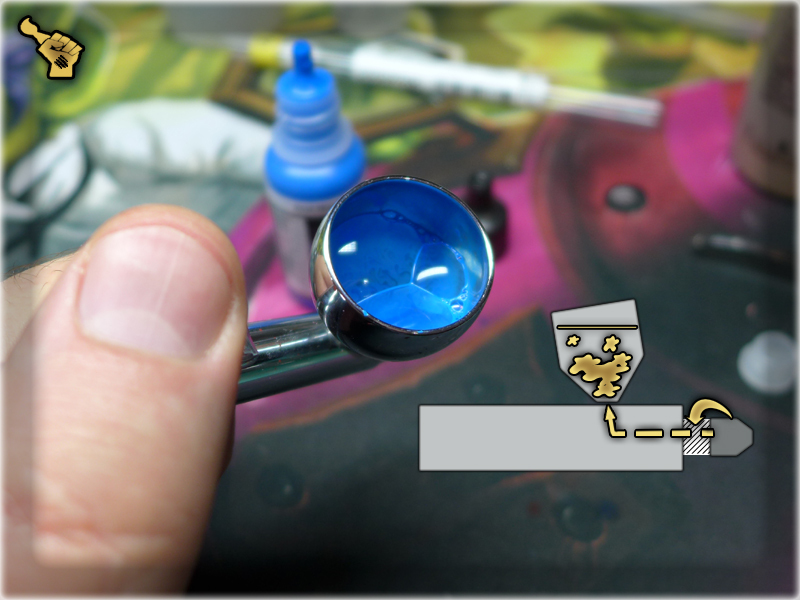 In the end for an unexperienced airbrush user like me 0,2mm was a totally new experience. 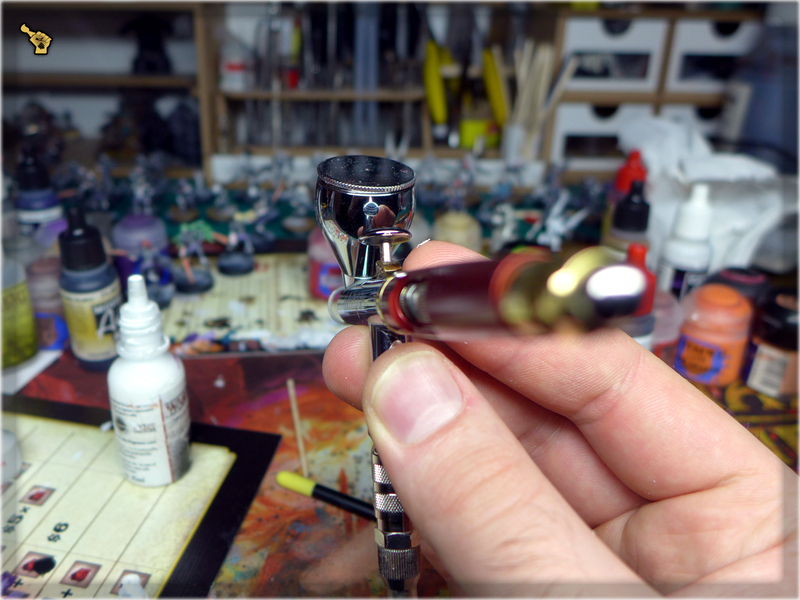 Also entire thing being just one part made it much easier to use baskwash to clear up the nozzle by delicately turning the protector left and letting the air flow to within the paint container. I’m very happy about this set. 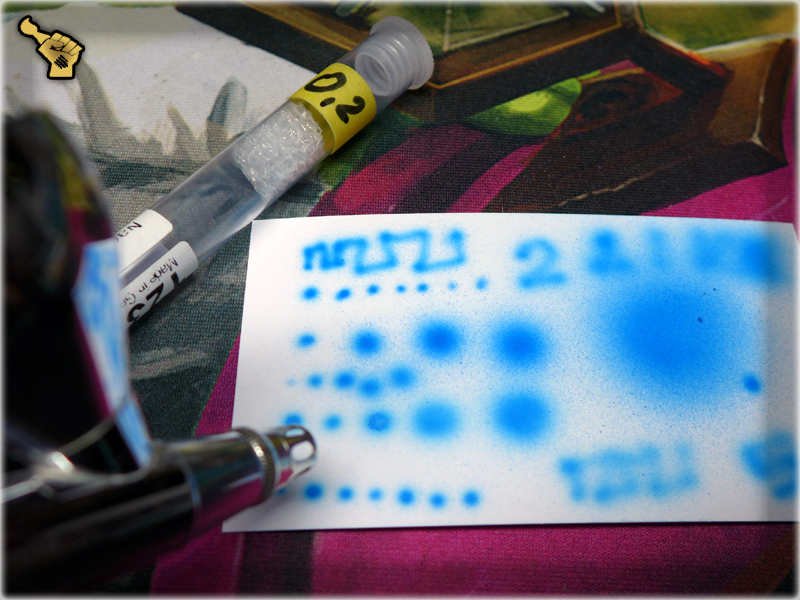 It not only lets me use a tiny needle without fear of it being damaged, but also makes it easier for me to use some cool features of Infinity CR Plus with it. 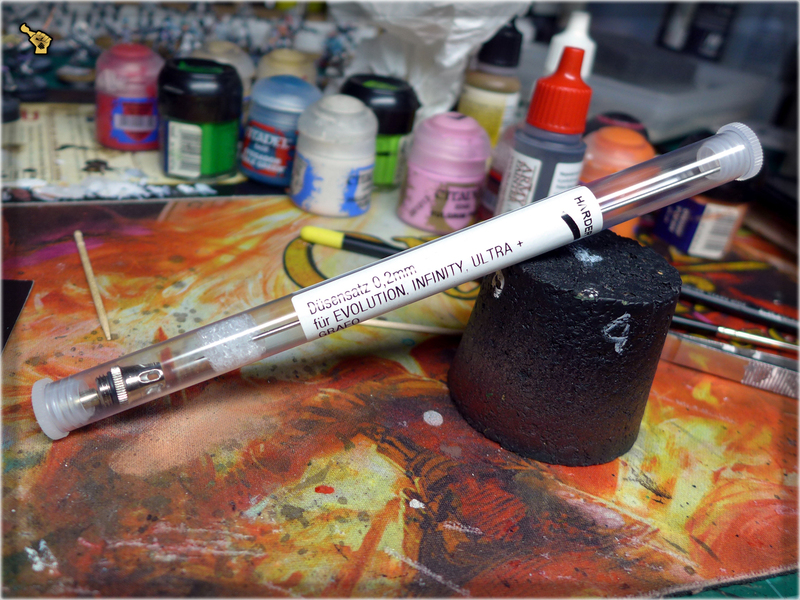 My verdict is 9/10 – a very useful thing to add even more value to an already awesome airbrush.